The Madras High Court on Friday dismissed a writ petition filed by Amma Makkal Munnetra Kazhagam (AMMK) leader T.T.V. 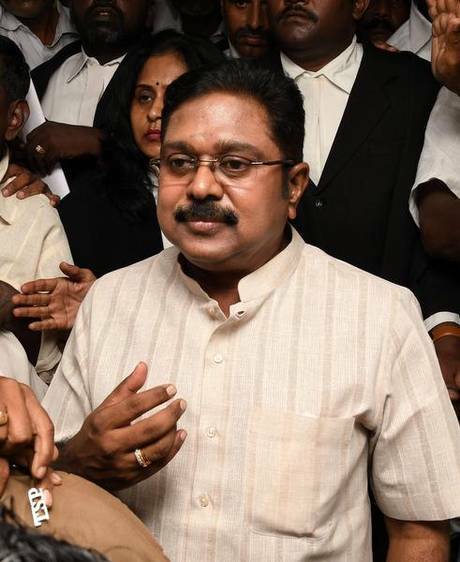 Dhinakaran 16 years ago and two more petitions filed 15 years ago challenging the Income Tax proceedings initiated against him following searches conducted by the Enforcement Directorate under the Foreign Exchange Regulation Act (FERA) about 22 years ago. Justice S.M. Subramaniam rejected the petitions after concurring with A.P. Srinivas, senior standing counsel for I-T department, that the writ petitions filed against notices related to reopening of income tax assessments were not maintainable and that the petitioner could, instead, agitate the issue before the officials concerned. Counsel also assured that opportunity would be given to the petitioner to defend himself. After recording his submissions, the judge ordered that Mr. Dhinakaran should be allowed to even peruse the materials, which were originally seized by the Directorate of Enforcement and subsequently handed over to the I-T department. The materials had revealed huge investments reportedly made by the petitioner in foreign countries and also a hefty amount paid by him to obtain permanent resident status in Singapore. Hence, the I-T department had initially decided to assess his income during the block period of 10 years beginning from the financial year 1987-88 and 1997-98. He filed a writ petition challenging that decision in 2002 and obtained an interim order. Subsequently, the department wanted to reopen his I-T assessments for the years 1995-96 and 1996-97. He filed two writ petitions challenging that decision too in 2003 and obtained interim orders. Lamenting the huge delay caused in taking up the writ petitions, the judge directed the I-T officials to proceed with the inquiry without any further delay and conclude it at the earliest.